Throughout the October half-term Dukes Meadows and the fc**tennis players were well represented across both National and Internationally events. There were several star performances across the age groups. 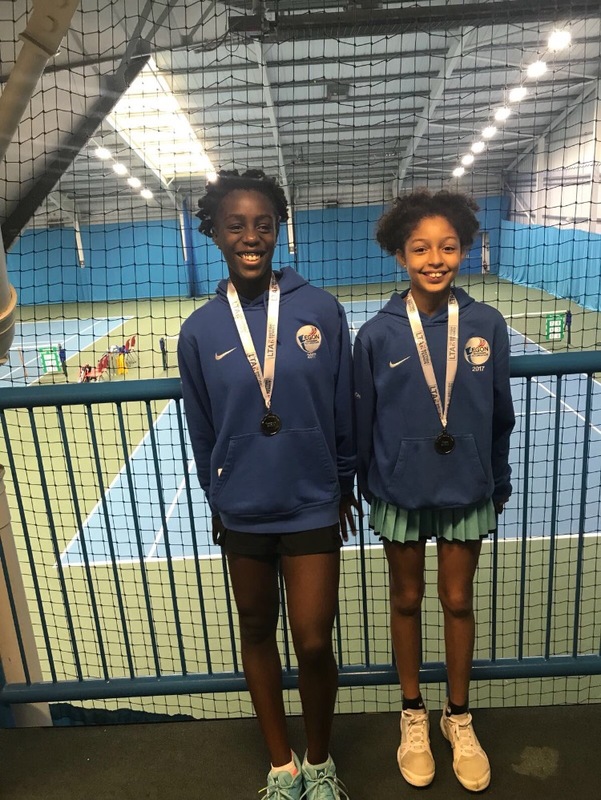 Sunderland was the host to the Winter National Grade 1 tournament for the under-12 category, which was a huge success for academy players with Finbar Mcgarvey, Athina Radicopolous, Sophya Devas and Ranah Stoiber all competing. Sophya Devas won her qualifying group convincingly, with two straight sets wins and dropping only one game en route to the Main Draw. Once in the Main Draw, she set up a quarter final meeting with fourth seed Ella Mcdonald. Despite losing the first set 6-1, she bounced back and secured a comeback win, with a 10-3 deciding set tiebreak win. Sophya’s strong run came to an end as she lost to second seed and fellow Dukes Meadows player Ranah Stoiber, 6-3 6-0. Ranah went on to win the National tournament in remarkable fashion, without dropping a set. This is a great achievement for Ranah, who continues her impressive form the summer. She then went on to play an age group up (14U) in the USN Bolton Arena Winter National where she managed to Qualify through the Round Robin stages before losing in the first round of the Main Draw. Athina Radicopolous and Finbar Mcgarvey both competed well in Sunderland, both won matches winning in their qualifying Round Robin matches. There were International appearances for both Alice Gillan and Charlotte Navin Weinstein in ITF World Ranking tournaments. Alice first played the Colombo ITF $15,000 in Sri Lanka in the Women’s Singles, where she won her qualifying round 6-2 6-0 to book her place in the Round of 32 in the Main Draw. Alice battled strongly in the first round, eventually winning in three sets in a tightly fought match coming from one set down. Despite her best efforts, she fell to defeat in the Round of 16, against eventual Runner up Pranjala Yadlapalli. Alice also competed in the Wirral ITF $15,000 in Great Britain, where she again qualified for the Main Draw through qualifying. Charlotte Navin Weinstein played the 9th Bahrain ITF Juniors Championship Grade 5 Girl’s World Ranking Tournament. She won her first round match 6-0 6-0. After an evenly contested Round of 16 encounter, Charlotte lost in three sets to eventual semi-finalist Semra Aksu. The Woodford Wells Slazenger Grade 3 Tournament in Essex was also a popular and successful tournament for Dukes Meadows players. Adrien Dor was particularly impressive as he won the 18U Boy’s Singles event. Being unseeded, Adrien proved his worth as he set up a final with number one seed William Everett. After winning the first set of the final in a tense tiebreak, Adrien recovered from a setback in the second set to win the deciding set tiebreak 10-7. Another winner in Woodford Wells was Flora Johnson, who won the 10U Girl’s Singles. Flora, who beat fellow Dukes Meadows player Serena Manca in the semi-final, cruised through the tournament, winning without conceding a single set. 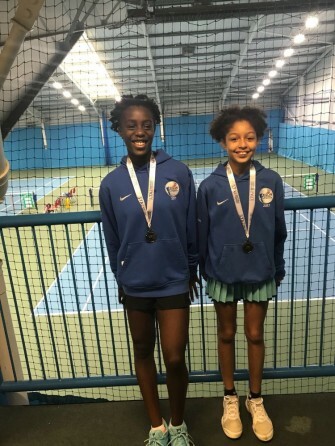 Dukes Meadows were also successful in the 12U Girl’s doubles event, as Ioana Steliana Scripcariu partnering Isabella Wong rounded off a strong week with a 6-4 6-2 final win against the top seeded pair. Ioana also played the Sutton Tennis Academy Autumn Tournament, where she won the 14U Girl’s Singles event. A very good week all round for all Dukes Meadows players in Essex. Other notable successes include Gianluca Berto who won the Teddington Open Men’s Singles tournament, winning 10-6 in the deciding set tiebreak of the final, Georgiy Lesyuk who was Runner-Up at the Sutton Tennis Autumn Tournament and Christine Fourie Runner-Up in the Wimbledon Tennis Academy 12U Girl’s Singles event.